Likewise, should Georgia's... farce of a compromise proposal, one based on a very confused version of recent history, reach the United States Congress, I will personally do everything in my power to defeat it. I have the following list, which would hopefully address numerous issues and would be at the least a good starting point. 1. A constitutional amendment is to be passed that will not allow the president to use force to enforce civil laws and that the president may not use force to arrest legitimately elected Governments or individuals without a clear and present danger to the citizens of the United States. 2. The internal improvements paid for with the tariff are to distributed equally among the states of the United States. 3. States must allow Federal Marshalls to enforce the Fugitive Slave Act and repeal any provisions releasing such fugitives from service and granting them citizenship. 4. The issue of slavery will be left to the states themselves to decide and not the federal government. 6. The Southern States end nullification of Tariffs. I would also state that we feel that President Chamberlain should resign for his actions in instigating the escalation herein. The tariffs have already been reduced but I feel it is extremely important we equally distribute such funds. Perry looks between Georgia and Illionois representatives and utters only a single phrase. Gentlemen, I would like to make a proposal. A, perhaps, radical proposal that I do not feel confident will be received well, but one that I feel must be considered. The crisis we face is unprecedented for our Republic, and I feel it requires an unprecedented compromise. While slavery may be seen as a non-issue, the truth of the matter is that it is what motivates the northern governors in many cases, and it can be said with much confidence that this divide on our continent is ENTIRELY the result of its existence. Gentlemen, I would propose that, voluntarily, each slave-holding state implement programs to provide for the freedom of any persons born to slaves TWO generations hence. The children of current enslaved persons will remain in servitude, but their children, once born, will be considered free persons. Such a proposal would have absolutely no impact on us, my friends. I propose this as a gesture of good will. I would then expect, in return, for each and every northern government to agree to comply with every law regarding the institution, including the fugitive slave act. If the current laws are respected today, our grandchildren will live in a Republic free of this divisive and unpleasant institution. Measures will then be taken to assure a more equitable distribution of the money collected by tariffs, but all states must agree to respect the tariffs themselves. State militia will be capped at a small number, a number to allow for internal order without allowing external aggression, and an official censure of the President's actions in Texas will be issued by both the House and the Senate of the Federal Congress. All those arrested in Texas and subsequently court-martialed will be granted a full and unconditional pardon, and I would propose a law requiring a super-majority of the Senate to approve of the deployment of federal troops domestically in the future. I feel this would be fair, and I strongly urge all involved to consider compromise for the sake of peace. For the sake of future generations, to whom a united American Republic will be essential. I find Governor Lee's idea to be intriguing, although I hold still that the Fugitive Slave Act ought to be enforced solely by the federal government. I do not believe Oregon would prevent federal marshals from doing their job in such a situation. I think in the long term we all can agree that tariff revenue should be more equitably distributed, can we not? Part of the issue, I should note, is, I suspect, a lack of funds as well in the south brought about by higher tariffs. Lowering these rates should help. In the more short term, perhaps Congress can work out an expansion of the Transcontinental railroad proposal, to make sure that southern needs are tended to? I propose that this be a matter more properly worked out in the halls of congress, perhaps by a committee composed of 9 men, 3 from the west, 3 from the south, and 3 from the north. It is certainly a radical proposal, and it is not one which I would necessarily be opposed to. The Freedmen proposal would of course have to be considered by the Governor and by the State of Tennessee but it is definitely worth considering. The State of Sequoyah will support that plan, Governor Lee, but I'd like to clarify a point: would the current and next generation of slaves remain in servitude following the freeing of the third generation? Some may say that we might not be in a position where two generations is a sufficient amount of time. Your proposal allows for gradual abolition, which is what we likely need; but some will ask, what shall we do if two generations is not a sufficient time to move beyond conditions that allow us to do this? I am only playing devil's advocate here. We could follow the Gentleman from Louisiana's example and send unskilled workers back to Africa, and consider the proposal for the current skilled laborers. Georgia is open the Gov. Lee's proposal. But what of the free negros? Are they to be sent back to Africa? Georgia wrote: Georgia is open the Gov. Lee's proposal. But what of the free negros? Are they to be sent back to Africa? I should think freedom would imply that they would have the right to decided for themselves. Pennsylvania would be willing to accept freedmen if the southern states deem them unnecessary to their society. Tennessee would be willing to consider the proposal provided that we would be able to pay for their release and relocation to Africa. Another question for Gov. Lee. Would the former slave owners be compensated for thier loss of property? Thomas Powell wrote: Pennsylvania would be willing to accept freedmen if the southern states deem them unnecessary to their society. Likewise in the case of Oregon. Oregon wrote: I rise with the gentleman from Sequoyah in his sentiments, if not all of his words. Both sides of this issue have acted regrettably in a number of instances...perhaps it is being able to look to the east instead of to the north or the south that allows us to find criticism of the actions of sides, but it is becoming clear that nobody came here with any intention of reconciliation. In that vein, I want to propose a few items that, if we're really here to discuss instead of look good for the papers, will be at least taken into consideration. 1) A limit on the size of state militias that will ensure no state may pose a threat to another. 2) Legislation to ensure that the state in which a tariff is collected will receive at a minimum a substantial amount of the tariff collected. 3) Legislation to provide for federal enforcement of the Fugitive Slave Act. Will any here accept this as a starting point? It is a good starting point, even if it fails to mention the actions taken by the President in Texas. I concur on all points, this is fair. You complain about the tariff. We lowered the tariff. You complain about slavery, and as the gentleman from South Carolina stated himself, all attempts to change the status quo failed. You complain about our militias, I am sorry, but has a single southern state had its citizens bombed by a rogue man? I think not. My state is large, the Governor has much to protect. My militia has not entered another state with the intent of invading. This is America my friends, my militiamen are citizens of the USA first, and citizens of Pennsylvania second." "Various Governors across this country have tried to force their beliefs on our beloved commonwealth. Let them know, if they enter Pennsylvania to try and break our laws, you will be dealt with swiftly. It is my duty as Governor to protect the people of Pennsylvania. I cannot, and will not allow these threats to go unanswered. People across Central and Southern Pennsylvania are worried about how my new law will effect their lives. Rightfully so. The raising of this militia is for the purpose of protecting you and your property from those who would seek retribution upon innocent people. This militia's purpose is domestic. Neighbors of Pennsylvania have nothing to fear from it. I am speaking directly to New York, Virginia, Ohio, and Maryland. We are all brothers in this country. I will be asking Republicans and Democrats to join with me in the capital after the Christmas Holidays." Until freedmen can walk freely in slave states, I will not comply with any property claims of slave owners. Pennsylvania is a sovereign state. We will use our militia to protect the laws of our state within our own borders... do not provoke us." "Pennsylvania will not accept any calls to strengthen the fugitive slave law." *Mr Bullock sits back down next to the gentleman from Connecticut. Is there really ANY doubt about who is being unreasoneable? Illinois wrote: Senator Lyman Trumbull glances from Congressman Styles to the delegate of South Carolina. If I may state something briefly to begin, the insistence to negotiate with Vice President Wood would only serve as an impediment and delay to the negotiation process. President Chamberlain will ultimately be who has to not only approve, but enact any compromise that comes out of Congress. He is the legally elected President of the United States - while some states may have chosen to disregard that fact, it does not make it any less real. Furthermore, I concur with Congressman Styles on the difference between non-compliance and nullification. I have no doubts that if asked to enforce the law by Federal authorities, northern states would comply in respect for the Constitution and the Union. I must ask, if the President were to ask the Southern states to do the same on the tariff, would they act the same? On the note of militias - I must point out that out of all states in the Union, of the largest nine militias, seven of those are states found below the Mason-Dixon line, with only Michigan and Pennsylvania filling those positions. And while I cannot speak for the Governor of Michigan, Pennsylvania is more than within its rights to seek to protect itself after falling victim to a terrorist once already. That same right is availed to Tennessee or South Carolina, why should Pennsylvania - or any other state threatened by violence - be excluded? If I may be so bold though, I have to ask what right do states of the South have to dictate the terms of federal policy, wherein they must be deferred to on every law in every instance in order for it to pass. That is how members of the North, including myself, see this latest set of demands - that the Fugitive Slave Act must be forcibly executed while the tariffs be eliminated; that the Northern states must reduce their militias, regardless of reason for being raised, while the Southern states are given free reign for their defense. With all due respect to my colleagues and brothers from the South, this must be a Union of equals - not a Union of privileged few with powers above the many. I am committed to reconciliation so long as it is possible. But reconciliation must mean all states being placed on an equal standing with each other - not one or a group dictating federal policy from the end of the gun known as secession, and certainly not making the federal government subservient to that of the states. Vice President Woods is the only one in the federal government to express any minor concern for the South on any issue, the President is considered a terrorist. This is why we'd prefer to speak with him. 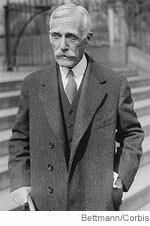 I invite the delegate to tell me which state has said they don't recognize President Chamberlain as the legitimate President of the United States because there isn't one. Regarding Northern states willing to comply, one need only look at the words of the Pennsylvania delegation here today. On the point of South Carolina, we have never said we are not willing to allow enforcement of the tariff. We simply refuse to do so until each State of the union is forced to comply equally but will be more than happy too if that should ever happen. The militias were raised for the South to defend themselves as mentioned. The Gentleman is exactly right in that it needs to be equitable. Right now, it is not. South Carolina is willing to comply with every one of the stated demands thus far on the condition that Northern states comply as well. They have repeated, including here, no intention to whatsoever. When they are willing to stand down, we will be glad to. That is not dictating, that's South Carolina being refused to be raped with a cutlass the way Texas has been. Connecticut wrote: The Fugitive Slave Act already allows for federal enforcement, in fact that is the proper route for its enforcement. I can assure you that Connecticut has no intention to fire upon or otherwise harass a federal marshal serving his writ. To my knowledge, no free state has expressed that intention. See the above reference to Pennsylvania. Maryland wrote: Mr. Bullock, whatever your Governor's feelings on the fugitive slave law, it is and still remains a federal law. It is his place as Governor to enforce the law, not to ignore it. That is why Maryland's position has been that, for the time, we shall not seek extradition - but note, that we have not tried to nullify the law. And certainly, with the law we have passed, would still return a fugitive to, say, Virginia. South Carolina finds the Virginian proposal intriguing. I would suggest that the current generation remains in servitude, but that the next be freed upon their children reaching adulthood. This should provide slave-owners with most likely 30 years, or more, of labor from this generation. I would further be willing to accept, if it meant acceptance by all states, that the second generation of slaves remain in servitude for the length of their lives. I do suggest, however, otherwise. Surely freemen, be they black, white, or red, should have the right to locate themselves? I am willing to accept Governor Lee's proposals as they have been put forth. Would my colleages in the South be willing to accept relocation to other parts of these United States, should they wish to settle somewhere which is not Africa, but also, not in the borders of their states? I believe, in all, Oregon would accept Governor Lee's proposal with a few points of clarification. The Georgian proposal is laughable, and the Tennessean, objectable. As for the Virginian proposal, I must say I find it intriguing, and I would like to hear a bit more debate before making up my mind.